Cash is not king as people swap unwanted items. Inside an office space in an unremarkable industrial building in Kwun Tong, soft music and laughter fills the room. People are talking and walking between racks of clothes and shelves full of books, browsing for something they might like. This is neither a warehouse nor a stockroom. 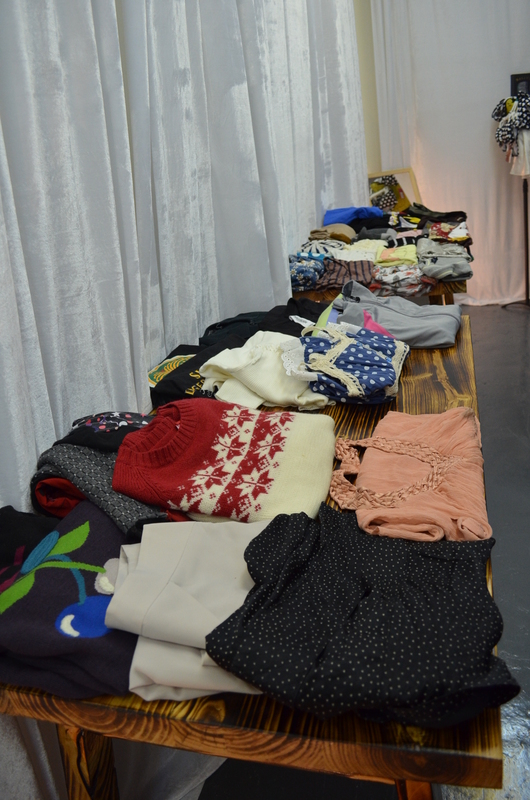 It is a place where people can share and exchange their unwanted items with others. No money changes hands here. The age-old practice of barter is the order of the day. JupYeah held its first Pop-up Swap event on Boxing Day last year. People exchanged used clothes, old books or electronics in a small unit inside an industrial building. JupYeah, Cantonese for “taking stuff” was set up by six young people. It was Ren Wan, a freelance journalist and core organiser of JupYeah who came up with the idea. “Initially it was three people swapping clothes in private. Then we decided to have a public event. Slowly JupYeah came into being,” she says. Barter is the exchange of goods and services without using money. For JupYeah, anything that is unwanted but is clean and usable, whether it is brand new or used, is still tradable. JupYeah is different from other barter trades, it is not one-to-one trading. Instead, people can come to either just leave their stuff for others or take anything away without offering anything in exchange. For Wan, the most important thing is whether the unwanted items can still be used rather than be thrown away or recycled. This is the main reason for setting up JupYeah. Wan says barter can be an alternative way to gain “new” stuff and encourages teenagers and young adults, especially those with deep pockets, to join barter events. To Yu-hin joined JupYeah’s Boxing Day Pop-up Swap and enjoyed it thoroughly. It left him with a good impression of this method of “acquisition”. To brought an old film camera to the event, a stranger showed an interest in it and they started talking and became friends. To likes Pop-up Swap because it is held informally, like a casual party where participants share the same values about consumption and materialism. He can make new friends at the events. At the same time, he also treats the barter activity as a treasure hunt. “[I] do not know whether I will find something I like,” he says.